Photographer Ewout Huibers took to the street of Amsterdam in 365 days with his trusty camera at his side. The result is a book with 162 very large color pictures, taken in all types of weather, in every season. Dedicated to a metropolis with the character of a village in Holland. 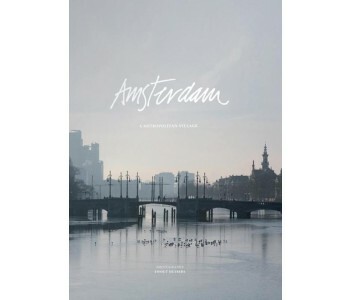 Amsterdam, 'A Metropolitan Village', is as the title hints, a photo collection in the form of a book. Dedicated to a metropolis with the character of a village in Holland. A unique site with lots of water, cosy canals, remarkable canal-side houses, and beautiful façades with of course a lot of bridges. Photographer Ewout Huibers took to the street of Amsterdam in 365 days with his trusty camera at his side. The result is a book with 162 very large color pictures, taken in all types of weather, in every season. True to the Netherlands. 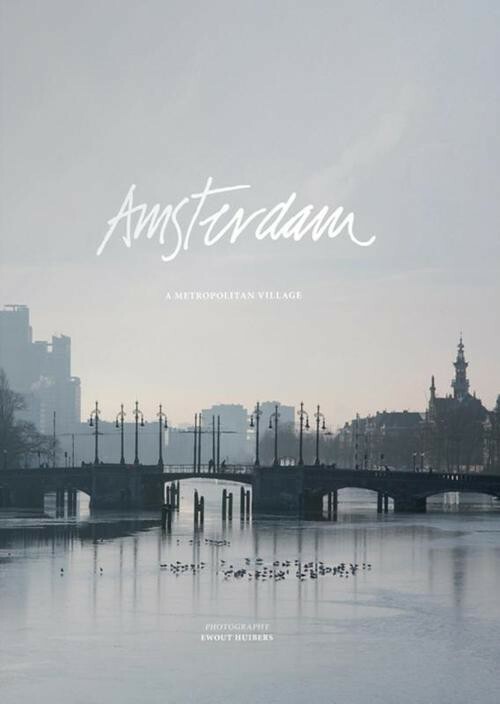 The color pictures, taken by Huibers in every type of weather and every season, show details and faces of known and unknown places of Amsterdam. Not just the city center, the heart of Amsterdam, but all the nooks and crannies like Ijburg and Durgerdam. The pictures are often taken from a special point of view. Like the water and the air. And it shows that Amsterdam has a lot to offer. Beautiful doors, bridges, bikes, trams, towers, boats, buildings, parks, museums, canals, streets filled with people, and tourists. All together, the pictures show the character and diversity of the city of Amsterdam. The book has a luxurious hard cover and is 35 x 25,5 x 4 cm (l x w x d) in size. In the back of the book you will find a small index with smaller pictures of every photograph and a reference to the page number and where the picture was taken in Amsterdam. The text is English and put in a fun diagonal way over the page.